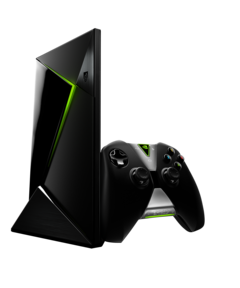 Powered by Nvidia's Tegra X1 SoC and its Maxwell-based GPU, this compact device is capable of playing 4K TV content and supports over 200 games. 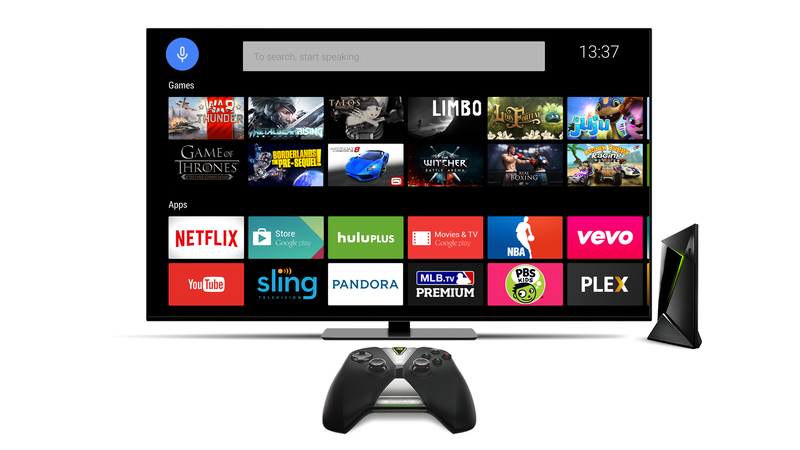 Today at Google I/O conference in San Francisco, Nvidia announced the availability of its SHIELD Android TV console. 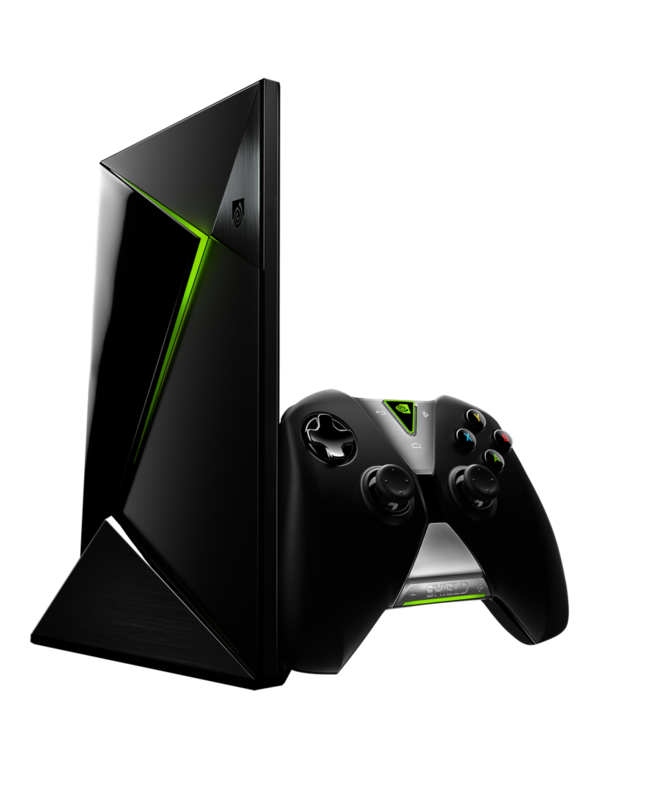 First announced at the GDC in March, the console can now be purchased in the US and Canada through Amazon, BestBuy or directly from Nvidia. In addition to the standard $200 model with 16 GB inbuilt storage, there is also a $300 SHIELD Pro version with a 500 GB HDD, bundled with a copy of Borderlands: The Pre-Sequel. Previously available only for PC and/or Xbox/Playstation consoles, this game was ported to run natively on SHIELD, among several others such as The Talos Principle or War Thunder. It is of course also possible to play other Android games and stream games from either Nvidia's own GRID service or one's gaming PC or laptop. The console is bundled with an HDMI cable and a single SHIELD controller. Additional controllers can be purchased for $60 each; other accessories are a remote control with voice search ($50) and a stand ($30). SHIELD is capable of 4K video output at 60 fps and comes with YouTube and Netflix apps preinstalled, allowing users to watch 4K video content on compatible TVs. Google Play Music and Movies & TV are also installed and for a limited time, buyers will receive $30 Google Play store credit and a 90-day subscription to Google Play Music.